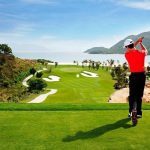 If you have an opportunity to admire the pristine and attractive beauty of this biggest island in Vietnam, you will understand why Phu Quoc is called as “The Pearl Island” and what makes it among top 10 best tourist attractions in Vietnam for international visitors. Let’s discover the beauty of Phu Quoc through the following impressive photos. With the area of approximately 600 km2, Phu Quoc together with 21 different islands form Phu Quoc island district, under Kien Giang province. Phu Quoc owns the tropical climate which is divided into 2 seasons: The dry season (from November to April) and the rainy season (from May to October). The average temperature is about 28 degree Celsius. Therefore, the visitors can enjoy the beauty of Phu Quoc at any time of the year thanks to the cool climate all around the year. Phu Quoc international airport is also an advantage for tourists because they can go by plane directly to the pearl island and enjoy the very attractive eco-tours in here. Phu Quoc Island still remains the original beauty and fresh atmosphere, though the number of tourists coming here is increasing day by day. 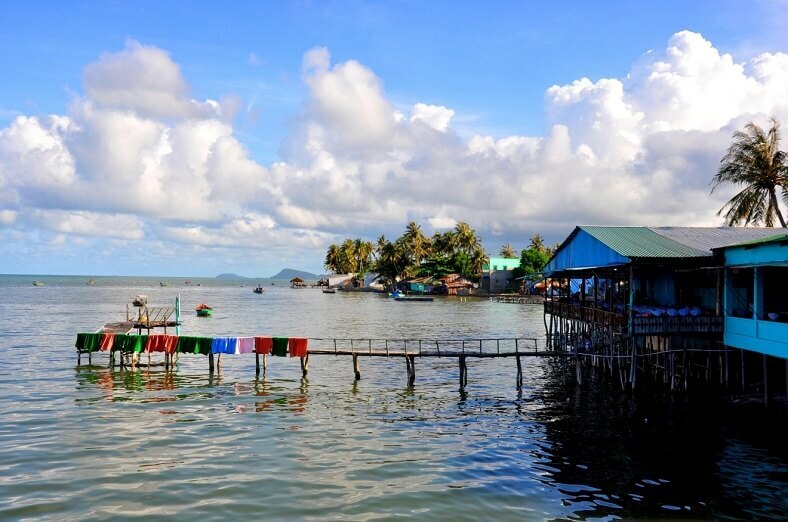 It attracts tourists not only by Sao beach, Dai beach, Khem beach, Ganh Dau cape, Dinh Cau, Tranh stream and Da Ban stream… but also by Phu Quoc national park, Ham Ninh fishing village, fish sauce factories and pepper gardens… In addition, the Coastal biosphere reserved area and Kien Giang island were recognized as World Reserved Area by UNESCO in 2006. 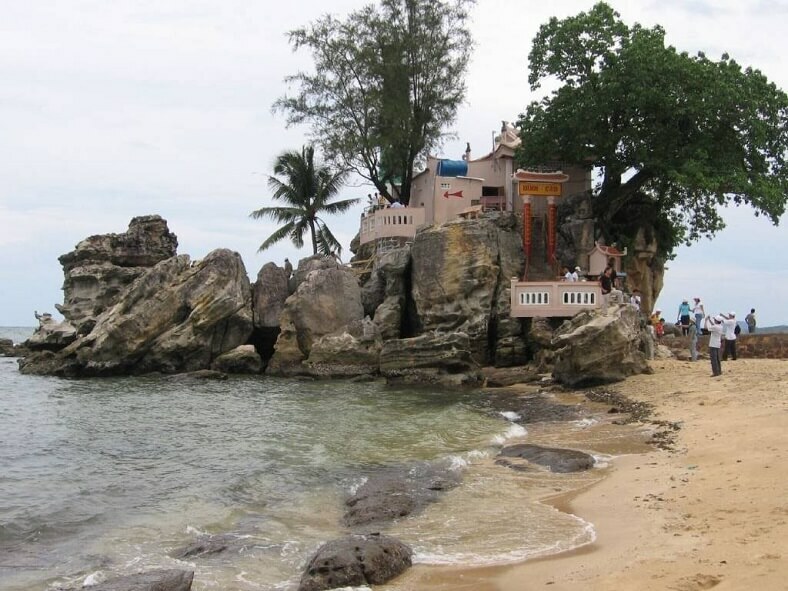 Coming to Phu Quoc, the tourists who love discovering cannot ignore Sao beach – the most beautiful island in Phu Quoc with the length of more than 7 kilometers. 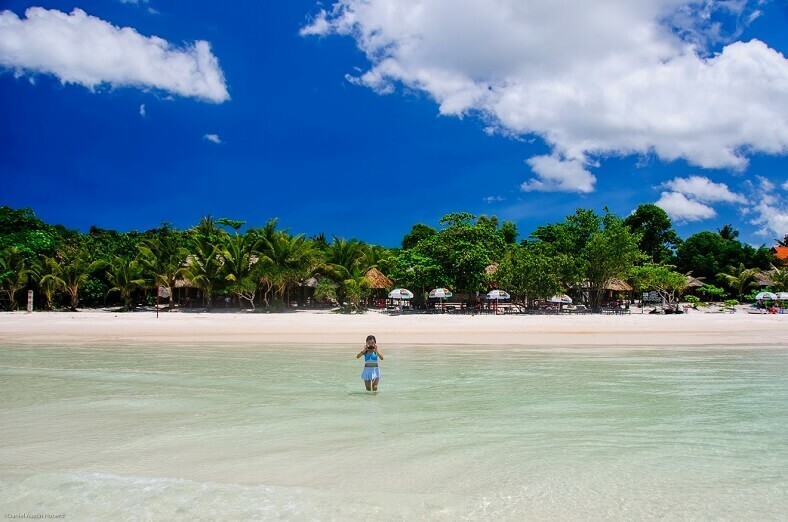 Swimming in the blue sea, sunbathing on the white sand in Dai beach – one of 10 most beautiful beaches in the world (according to BBC) or relaxing under the tree shadow, the visitors will feel like in the paradise on the earth. 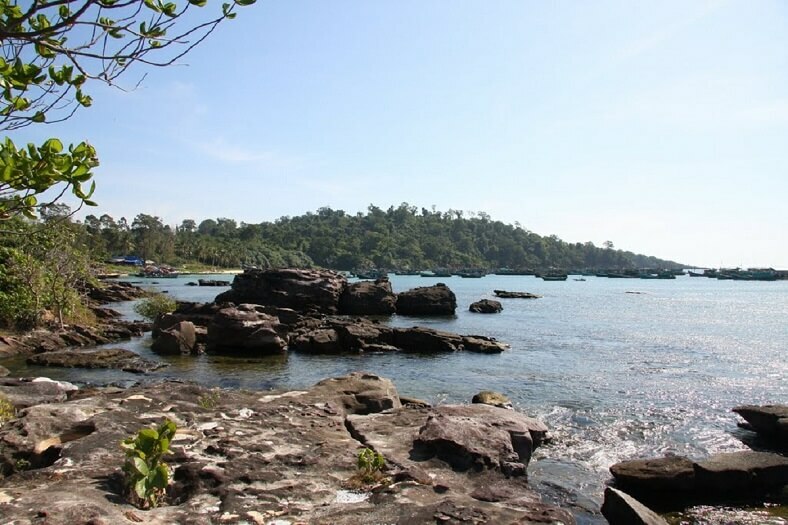 Along with Sao beach, Khem Beach is a beach with white sand and blue sea water. This place is famous for the specialty “herring salad” that any visitor coming here wants to enjoy at least once. Watching the sunset in Dinh Cau is a popular activity in Phu Quoc. Located next to the rock in the shape of a mountain surrounded by the sea, Dinh Cau is an ancient temple with the traditional tile roof. Ganh Dau owns a fresh atmosphere and clear blue sea water. This place is also a bustling seaport with many ships resting after the long journeys on the sea. Ham Ninh fishing village is always crowded by boats. The life here almost still preserves the pristine beauty of the simple bamboo houses of fishermen. 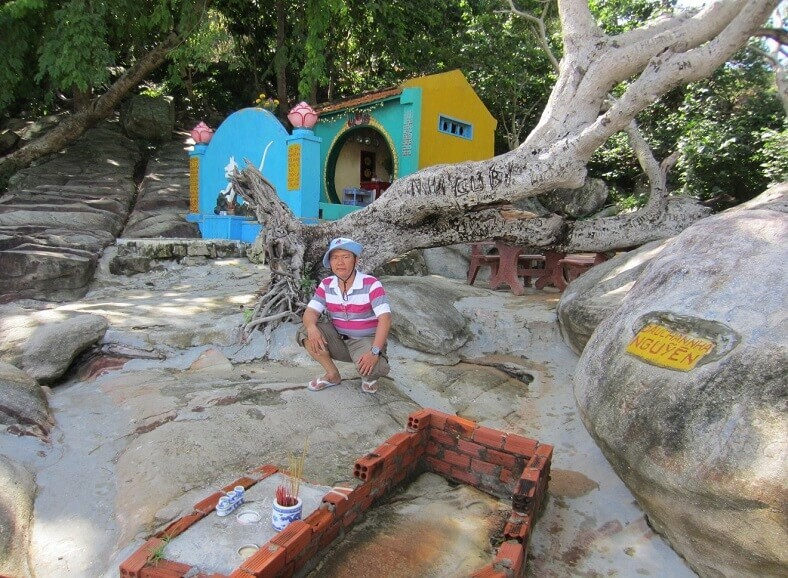 The Fairy Well is about 2km far from An Thoi Ward. It is a place to learn about the history and many interesting mysteries that you cannot ignore when coming to Phu Quoc. The scenic beauty of the lake with the scenery of the mountains and the green leaves on the island will definitely satisfy visitors. In the mountain, there is a small temple and a pink stone armchair, also known as the king’s armchair. It has become a tourist destionation that attracts many local and national visitors. Sung Hung Pagoda is one of the oldest pagodas in Phu Quoc. It is located in the foothills of a mountain near the center of Duong Dong town. Currently, no information exists to record exactly when Sung Hung Pagoda was built. Sung Hung Pagoda has a unique architectural structure because it is the only ancient pagoda facing to the north. The pagoda is surrounded by large trees and has a ladder structure which is higher and higher in each step. 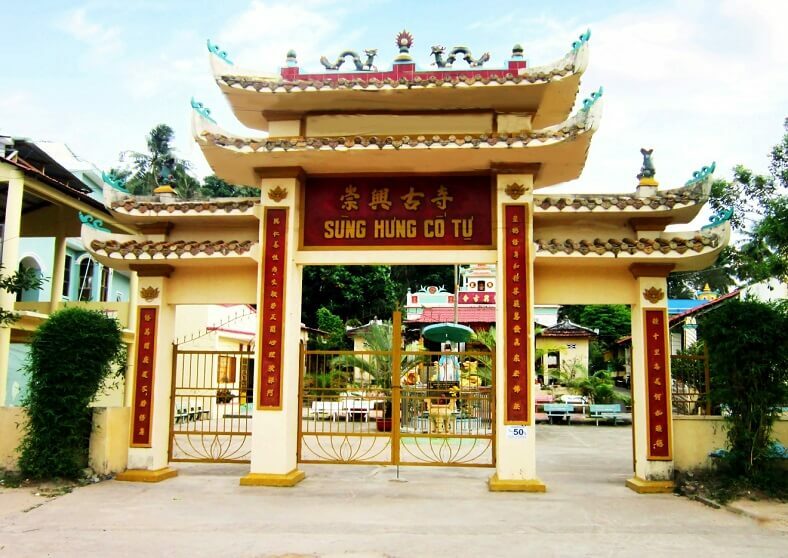 People can visit Sung Hung Pagoda easily, as it is located near the center of Duong Dong town and free entrance. It opens daily from 7 a.m to 6 p.m. This would be an excellent opportunity for foreign visitors to learn more about the ancient architecture as well as gain some knowledge about the most popular religious knowledge in Vietnam. Tranh stream starts from Ham Ninh Mountain, turns into a 3-storey waterfall, and then flows through the forest with the total length of 15 kilometers. Da Ban stream owns big and flat rocks which are arranged by floors stretching until the upstream. 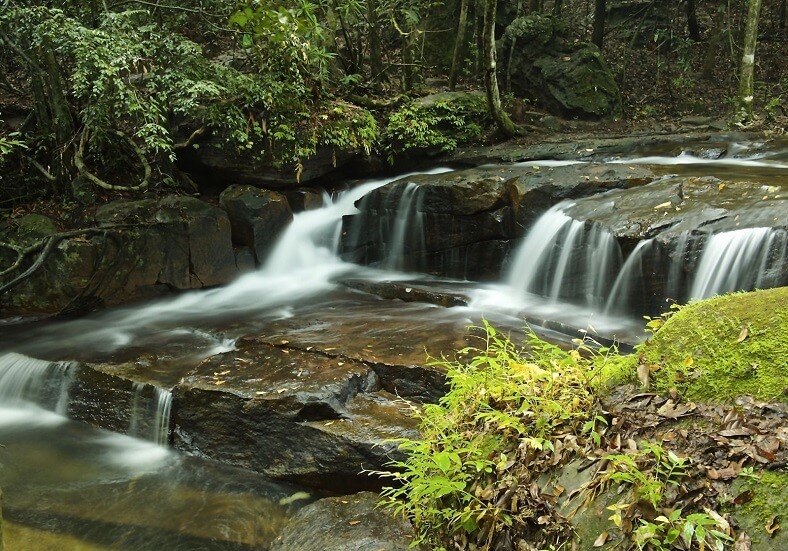 Da Ngon stream with 7 giant waterfalls with the abundant water source brings tourists a poetic landscape. Phu Quoc national park embraces the primary forest with the area of 370 km2 and the best preserved natural ecosystem in the temperate climate zone. 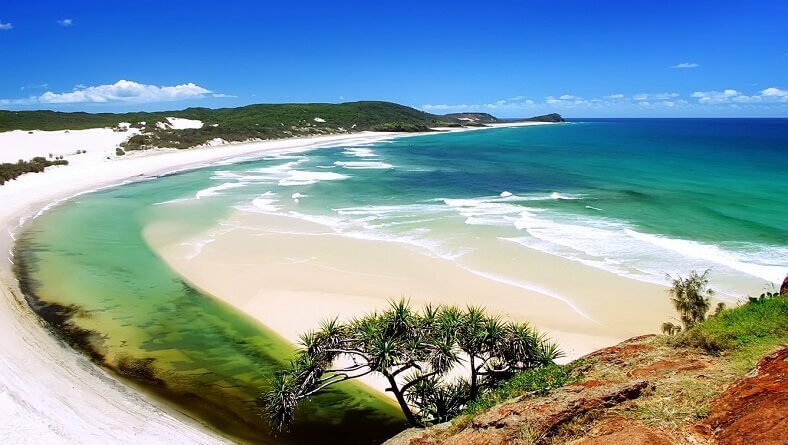 It is the home of 929 flora species, 144 fauna species with a high biodiversity level. 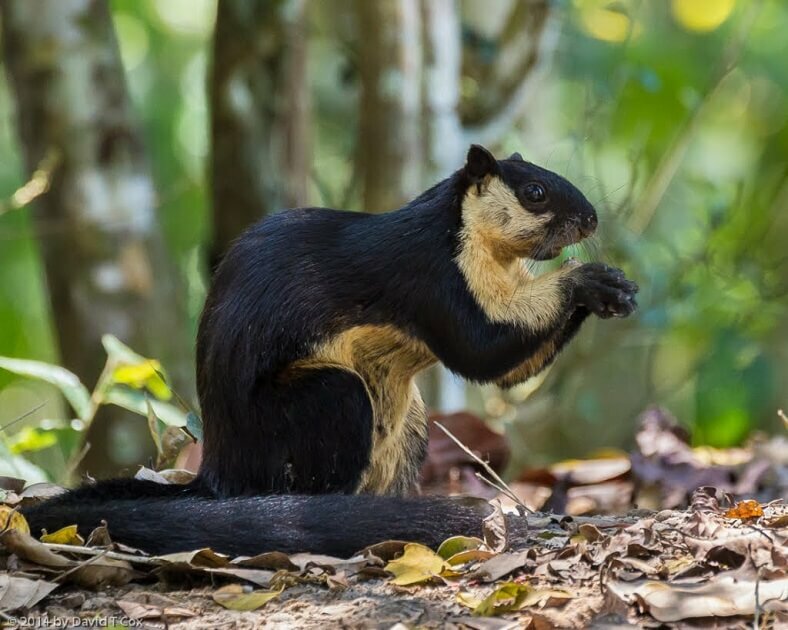 With the advantage of collecting all habitats all over the country such as mangroves, melaleuca forests, grass forests and primary forests, this place is a rare fauna and flora museum of Vietnam. It is an ideal destination for those who love ecotourism with many available choices: walking, trekking or riding a boat… to explore the secret beauty of the forest – the endless inspiration tourists loving the beauty of wild nature. 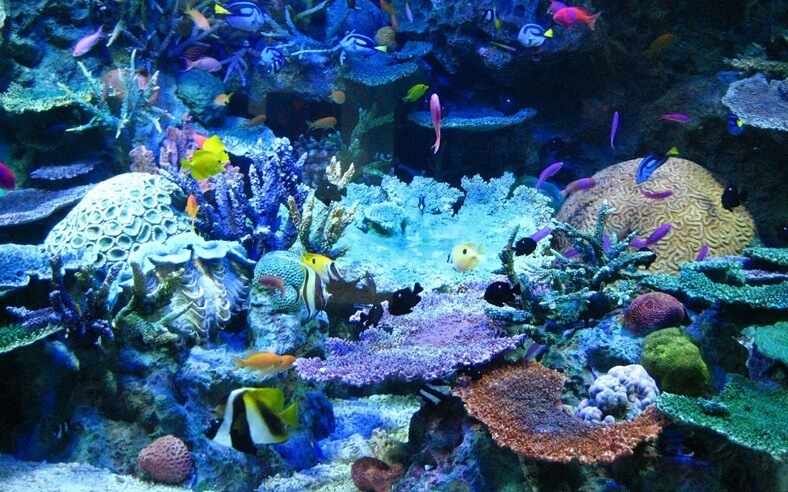 In the journey of discovering the pearl island, the tourists can take part in an interesting activity: scuba-diving to admire the beauty of diversified coral reefs with nearly 260 species. 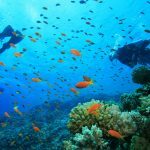 With the special ecosystem undersea in An Thoi archipelago and some small island in the north, Phu Quoc is a perfect choice for tourists to be satisfied with exploring the mysterious ocean. Besides snorkeling or diving, the tourists also experience some other interesting activities such as: night squid fishing and the discovery of a wild island. Today, with the goal of developing tourism, Phu Quoc has become a leading tourist destination in Vietnam and this is the best place to relax on the weekend after the tired working days. We hope that the above information helped you understand better about the beauty of this pearl island.